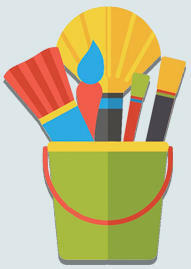 Avail of our landing page design service for effective marketing! We attach great importance to the role of this part of a site. It is the number one helper in boosting traffic and turning it into sales. That's why we combine skills of every member of the team with the latest technologies to create targeted landings just for you. SocialEngineMarket landing page developers are full of creative ideas and can build an exclusive high-quality project from scratch in a short period of time. Their significant expertise and experience allow undertaking all possible tasks. Yet, you are very welcome with your own vision of the project. In any case, don't hesitate to connect with us, we are always open to chat. Data collection using essential information about visitors (location, email, etc.) is crucial for your marketing strategy enhancement. Promotion the best place on your site for offering special deals and executing other marketing initiatives is the page that converts. Conversion high converting landing page displays only that piece of content and CTA that you want the site visitors to react to. SEO advantages creating different lead capture pages for certain targets or keywords, you can get higher on search engines. Join our well-thought-out and creative process! We create landing pages that are crafted for your organization and convey its unique message. This is achieved by taking into account each detail you share with us. If you already know what your future page must look like, that's great. Just hand your outlines over to us and we'll do the miracle. Still, if you need a reliable landing page solution turn-key ready, our experts have all the necessary skills and knowledge to satisfy your needs. We'll develop a powerful web page that is fast loading, seamlessly functioning and nice-looking all together. The work on any design project starts with a brief we ask you to fill in. The form contains a set of initial questions needed for first steps of development. During the entire process, we cooperate stepwise, plus you can contact us anytime if there are some urgent questions. Our support team will not leave you waiting. Creating custom landings to attract new customers or members to your social community, our webmaster apply the most innovative digital design solutions. Once completed we put your design brief in the hands of our creative team. They construct a page according to your preferences and brand identity. When this part of the work is accomplished we send you a few samples to review. The approved variant gets manually converted to a robust, cross-browser and multi-device destination page. 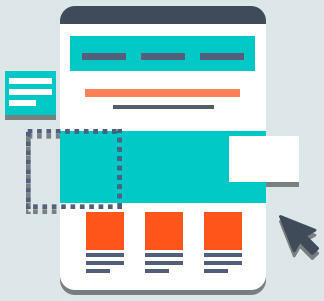 In case you already have a design mock-up of your page and need it to be visible on the web, we can convert it for you. Just send us your files and we will HTMLize them so that browsers could read it. 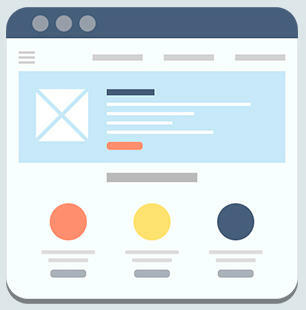 We strive to make your landing page as attractive and viable as possible. Nowadays responsive web presence is vital for business. In order to convert your mobile visitors to buyers, we code for tablets and smartphones and not just for desktops. All our markups are hand-coded and validated. We build clean and smart architecture of code that is easy to operate with. Each line of code is SEO semantic and corresponds the established by W3C standards and guidelines. The pages that we bring as a result are completely tested on all modern web browsers and devices. Dedicated QA team checks your lander performance, and designers will work on the image until you are totally happy.